1. They believed they could. They believed a win was possible. 2. They ran on issues that actually matter to voters, not just "Trump is bad. We're not Trump." 3. (and this is important)....they DID THE WORK. When @BrandNew535 and @justicedems helped @Ocasio (and a dozen others) launch her campaign a year ago, nobody, absolutely nobody, in the establishment gave us a fleeting thought. Running on no corporate PAC money? Yeah right, they said. Running on "pie in the sky" commitments to #MedicareforAll, tuition free college, 100% renewable energy, a federal jobs guarantee, housing as a right, a living wage, ending the school-to-prison pipeline, justice, equality, #AbolishICE, etc? While the Democratic establishment has been sucking up to corporate cash cows and jockeying for headlines about who's the most "resistiest" of the #Resistance, @Ocasio2018 and her tiny band of believers were caucusing in living rooms and knocking on doors. While the establishment media ignored her chances, while people complained that she hadn't raised enough💰💰to be a serious candidate, @Ocasio2018 was winning voters over one, two, ten at a time. Often between shifts at the restaurant where she waited tables until late last year. Only independent journalists like @ggreenwald, @jeremyscahill, @aidachavez, @ryangrim, and the entire team at @theintercept, gave @Ocasio2018 any credence. All of us at @BrandNew535 are thankful for their professionalism & commitment to ethical journalism. What @Ocasio2018 proved tonight is that candidates can win elections without spending millions of dollars, and without sacrificing their principles at the altar of easy campaign cash. Have you ever stopped to think about the sickening amount of cash we, as a nation, flush down the toilet every two years on elections? We don't have money for healthcare or education but we always have money for war and buying politicians. This sickness has SO INFECTED our political system that many well-meaning progressives have fallen prey to it as well, believing it's more important for them to court big money donors than to simply DO. THE. WORK. One progressive, whom I shall not name, that @BrandNew535 considered last year for our slate, dismissed the idea of joining forces with @Ocasio2018 to bolster one another's campaigns because, "She seems exciting, but I'm really disappointed to see how little money she's raised." I knew right then we didn't want this person on our slate. If you don't believe it's possible to win without millions of dollars, you've given up before you even started. How can we expect you to fight for working families & marginalized communities when you give up that easily? To be clear, I like this individual. I think they will make an excellent addition to Congress if they win in November, and I'm rooting for them. But that moment was revealing. And not in a good way. There are no short-cuts, here. Moneyed interests have rooted so deeply in our political system that the only way to fix this mess we're in is to rip them out...root by root. We're doing this the hard way not because we're purists, but because that's how we HAVE to do it. Right now, lobbyists & Democratic strategists are huddled together in D.C. trying to figure out how they can co-opt @Ocasio2018 and use her to raise 💰for their #BlueWave. But they're in for a shock. They will learn, real damn quick, that Alexandria Ocasio-Cortez #CantBeBought. Trump bragging about Crowley's loss tonight is SOOoo funny. When he meets @Ocasio2018 on the Twitterfield he will be left a smoking ruin. He'll be mad & call her names, but all of that will serve to raise her profile. Alexandria Ocasio-Cortez is about to become a household name. So are you excited? Do you want to see more people like @Ocasio2018 in Congress? Good. There are dozens of them, running all over the country. And the only way they're going to win is if we band together and #DoTheWork. Groups like @BrandNew535 (where I volunteer as Comms Director), @justicedems, @OurRevolution, @DemSocialists, @CommonDreams, @VetsForBernie, and many others need to work together. We already are, but we need to do more. But where do you come in, dear reader? If you haven't noticed, this is a #MomentofTruth. Not for any party, but for our nation. And the only way WE'RE going to turn it around is to #DoTheWork. That means you need to donate to grassroots candidates. They don't need millions of dollars, but they do need some money to win. At least until we rip out all the rotting roots. It also means volunteering. Give your time and your talent to the revolution. Put your body on the line. They're not going to listen to us. They're going to dismiss us and try to subvert us. But when we organize, we win. Are you ready to #DoTheWork? If you support the work of Our Revolution, Justice Dems, etc. please continue to do so. We have to work together. We also need you at @BrandNew535. This is a test of our democracy. 10, 20, 50 years from now you don't want to look back and realize you did nothing to contribute. It doesn't have to be money. It doesn't have to be a lot. But we NEED you to get involved. It's time to step up. 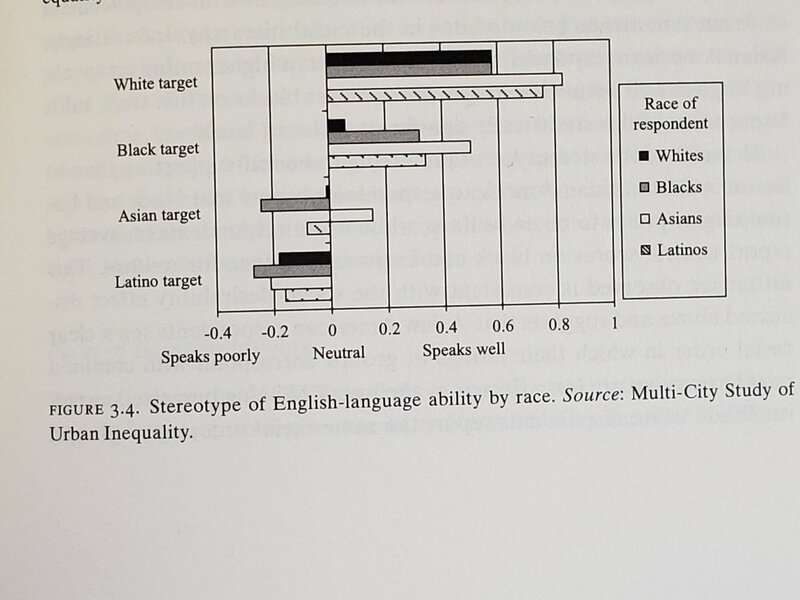 2/They cited two surveys. The first was from the early 90s, the second was from 2006. 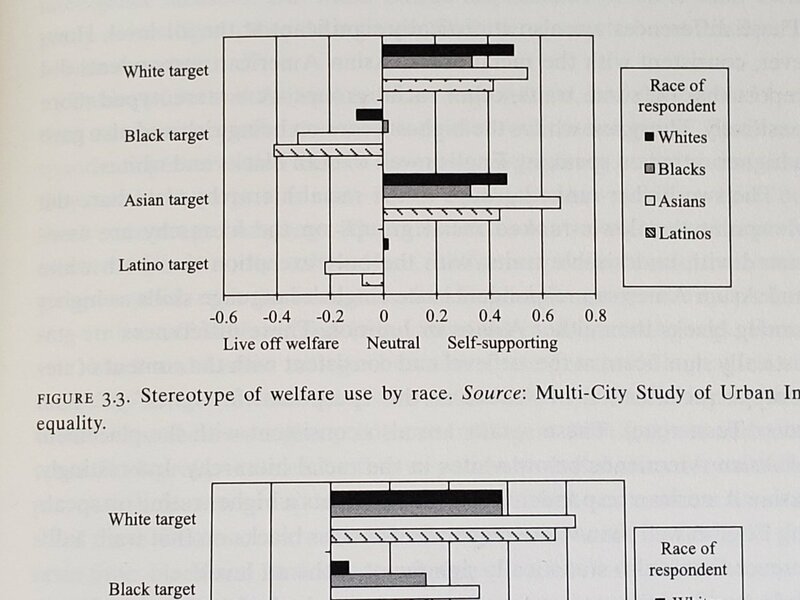 3/Here's some data from the early 90s surveys. 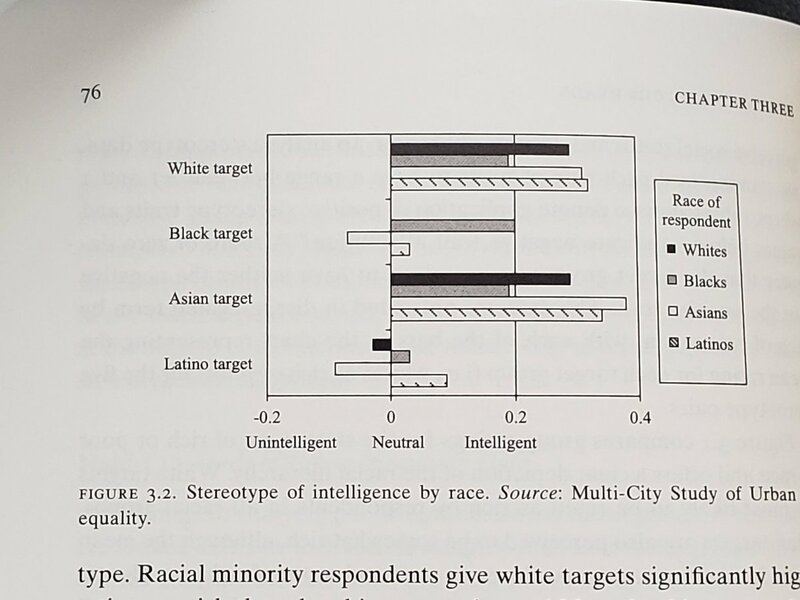 Not many surprises here. 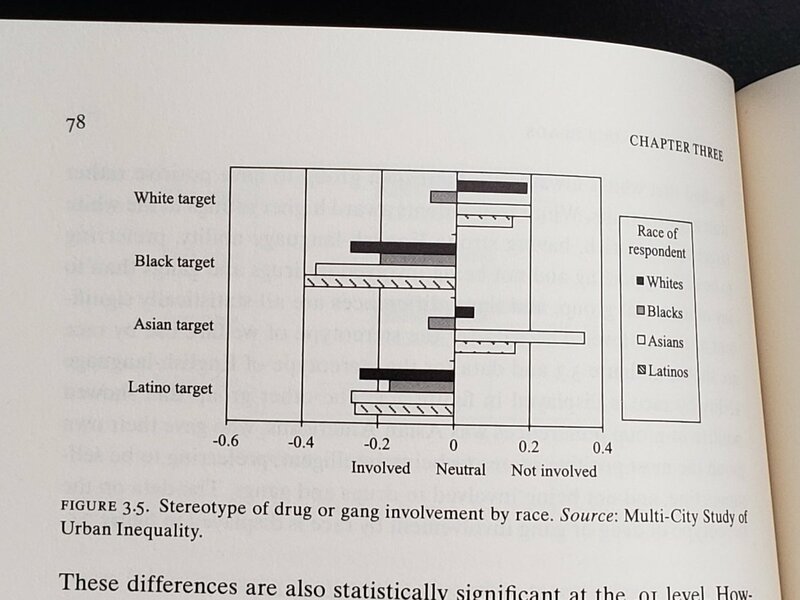 This was also right after the L.A. riots, which might help explain some of the negative stereotypes the Black and Asian Americans reported about each other on this survey. 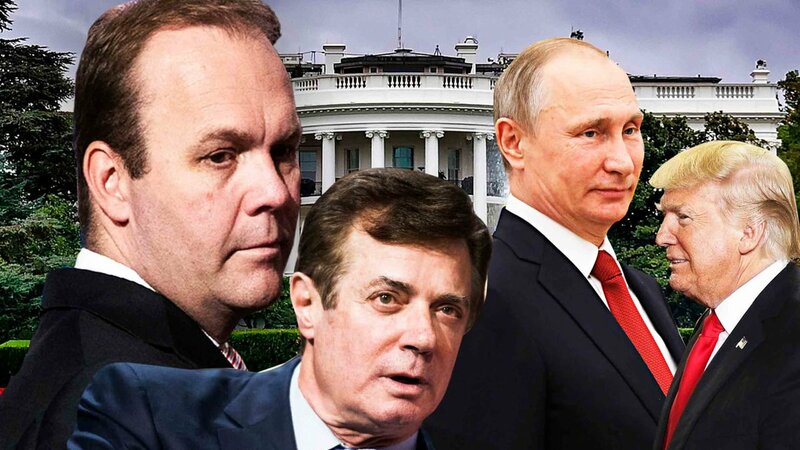 (THREAD) Paul Manafort and Rick Gates are now indicted. This thread analyzes legal and political aspects of their indictment and surrender. 1/ Draw no conclusion from the two being allowed to surrender rather than being arrested at home/work. It often happens in nonviolent cases.